Do you want to be a professional video game translator? Have you thought about working on the translation of video games? The translation of video games is booming. Video games aren´t something new, everybody knows that. But the games we play now have nothing to do with those played 20 or 30 years ago; all you need to do is watch trailers of the video games that are about to be launched, which have nothing to envy Hollywood about. English is the main language used in the industry.. Although a large percentage of the games come from Asian countries or other markets, it is more than likely that the version you get will be in English, no matter where the game was created. This is because the creators translate the original game into English first for three simple reasons: the higher availability of translators working from English, the savings derived from that high availability and the uniformity of the various subsequent translations. The translation of videogames can present translators with a myraid of situations. You may find yourself working with a Japanese story that requires you to change the names of the characters to adapt to your local market. On the other hand, in the same situation, the creators may require you to maintain certain original elements to ensure that the Japanese identity of the game is preserved, although this may lead to nonsensical situations, such as literal translations of jokes you are not allowed to localize. Certain types of games, such as platform games, allow you to localize more content, whereas games with greater thematic content can´t be localized. Try to imagine a completely localized version of the well-known Grand Theft Auto: San Andreas in any other market. It doesn’t work, does it?. Who knows if you will have to work with a world set in the Middle Ages, talk about car racing or even deal with a story that is futuristic or fantastic? In this sense, the possibilities for video games are practically endless, which means you will have to know a little bit of everything. Although you may not be the person in charge of these matters in many cases, you will always have to master the basic concepts about codes, variables and software localization to be able to do the best job. Luckily, today there are many courses aimed at this type of specialization where you will learn everything you need to know. Creativity in this area is essential. You will have to change texts so the translation meshes with the software, think of unique manners of speech or accents to distinguish the personalities of the characters, make up jokes, puns and even words that don´t exist. You are going to get into extremely fictional worlds and your creativity will have to be up to the task. Do you think you are capable? A translation service for a video game is not done by a single person. These projects almost always require the participation of several professionals who work with pre-established guidelines for purposes of coherence, so you will have to be able to work as a member of a team. This doesn´t mean you have to be stuck to the screen, holding your joystick day and night; it doesn´t even have to be your favorite hobby, but you will definitely have to be very familiar with them. It´s important to play all kinds of video games (role games, action games, platforms, etc.) to know what the results of your work should look like, the terminology that is used and, in a word, what the user expects and wants. Many clients will require you to keep what you do secret. Keep in mind that sometimes (and increasingly), when games are launched they are already translated together with the original version, so you will be working on a game that nobody has seen yet. There will be times when even you won´t be allowed to see it, and you will be working with the trailer or a few images to let you get an idea of the world you are getting into. You must always keep in mind the player’s point of view and put yourself in their role. 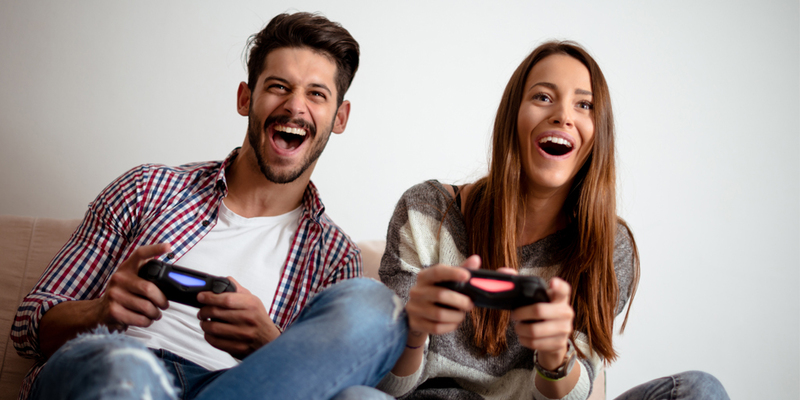 Video games are not like movies, which are consumed passively; players take an active part and the more integrated they feel the more they enjoy them, as you probably know. That’s why it’s important to try out the game whenever you can, even if it’s only a demo, and to get involved in the story as much as possible. Only then can you be sure to “hook” other players too.